Paignton Zoo is launching its first app. The hi-tech mini program means Zoo visitors can have up-to-the-minute information in the palm of their hands. Launching in time for February half term, the app can be downloaded free of charge to any of a range of mobile devices, with versions available for iPhone, Android and Windows. The app has been developed and tested to make it as user-friendly as possible. The testing team included members of staff, Annual Pass holders and Paignton Zoo volunteers. The Paignton Zoo app is available to download from the App Store, the Google Play App Store and Windows Phone Store. The Zoo web site has a dedicated page with links to all three platforms. The free app has been developed for the charity zoo by Bigwave Media creative agency in Exeter https://www.bigwavemedia.co.uk/ . In addition, Paignton Zoo offers free Wi-Fi to visitors in the entrance building, in and around the restaurant and at the Hang Out play area and pizza place. 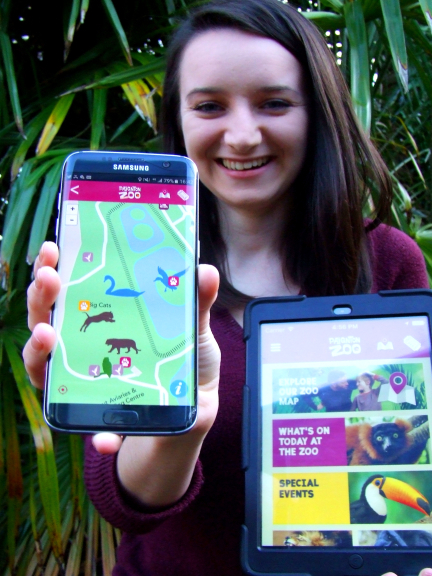 In the future there will be apps for Newquay Zoo and Living Coasts, both of which are, like Paignton Zoo, part of the Whitley Wildlife Conservation Trust. For more information go to www.paigntonzoo.org.uk or ring 01803 697500.